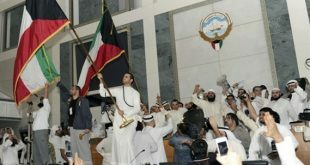 KUWAIT CITY, April 12: The Parliament unanimously approved the proposal to amend Companies Law No. 1/2016 in its first and second readings on Wednesday. A total of 45 members voted in favor of the bill in the first reading while 48 voted in favor in the second reading. The explanatory note of the bill states that it is aimed at making adjustments to certain provisions of the law in order to improve the business environment by simplifying procedures for establishing limited liability companies. Article One of the bill stipulates amendment of Item Three in Article 96 requiring companies to add their e-mail addresses or mailboxes in line with international practices and nature of modern companies. The bill also aims to eliminate the requirement to deposit capital in the bank before establishing a company by amending Article 97 as this related to the type of license issued upon the establishment of the company. According to the explanatory note, the minimum cash share amounting to KD 100 is cancelled and the partners will take decision in this regard as per the revised version of Article 98, whereas the condition for a company to have sufficient capital to serve its purpose will be eliminated as per the amended Article 147. Meanwhile, the Parliament approved the estimated capital expenditures — purchase of non-current assets in the general State budget — for fiscal 2017/2018. Capital expenditures for construction project, maintenance, equipment and machinery are estimated at KD 2,884,527,000 (around $9.43 billion). Budgets and Final Accounts Committee Chairman MP Adnan Abdul- Samad disclosed that capital expenditures constitute 14 percent of the State budget and the number of projects totaled 524. He went on to say that adopting this directive at such an early stage must be accompanied by immediate completion of construction projects as well as purchase of equipment and machinery, particularly since the cost for renting equipment and machines in the past five years reached KD 296 million (roughly $968 million). Speaker Marzouq Al-Ghanim then adjourned the session until April 25, 2017. 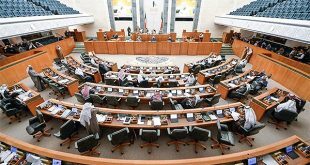 After adjourning Wednesday’s session, Al-Ghanim announced that the grilling request against HH the Prime Minister Sheikh Jaber Al-Mubarak Al-Hamad Al-Sabah will be included in the agenda of the April 25 session. 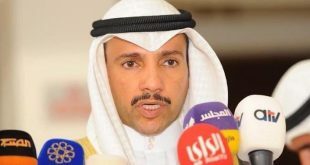 He dislcosed the interpellation request presented by MPs Waleed Al-Tabtabaei, Mohammed Al-Mutair and Marzouq Al-Khalifa against the premier contains five points. He also confirmed that he followed all procedures and informed His Highness the Prime Minister about the grilling request.